* Interest rate changes are expressed in basis point change. * Policy rate changes are expressed in basis point change. (LEAD) S. Korea's current account surplus edges down in Feb.
ASEAN+3 Bond Market Guide is a comprehensive explanation of the region�s bond markets. It provides information such as the history, legal and regulatory framework, specific characteristics of the market, trading and transaction (including settlement systems), and other relevant information. 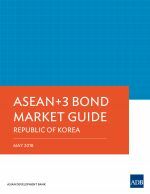 The ASEAN+3 Bond Market Guide 2018 Republic of Korea is an outcome of the strong support and kind contributions of ASEAN+3 Bond Market Forum members and experts, particularly from the Republic of Korea. The Republic of Korea�s local currency bonds outstanding rose 0.6% quarter-on-quarter (q-o-q) and 3.8% year-on-year�in the fourth quarter (Q4) of 2018 to reach KRW2,237 trillion (USD2,014 billion). Government bonds outstanding declined 1.5% q-o-q in Q4 2018 to KRW914 trillion while on the other hand corporate bonds outstanding expanded 2.1% q-o-q to reach KRW1,323 trillion in the same period. Corporate bond issuance in the Republic of Korea registered double-digit�growth of 33.3% q-o-q and 20.9% year-on-year to KRW135 trillion in Q4 2018. S. Korea's trade terms drop for 15th month in a row in Feb.
Corporate debt sales tumble 12.5 pct in Feb.
ICT exports fall for 4th consecutive month in Feb.